There are a lot of things that might actually go wrong with your refrigerator. This is an essential kitchen appliance which needs to working throughout the year. 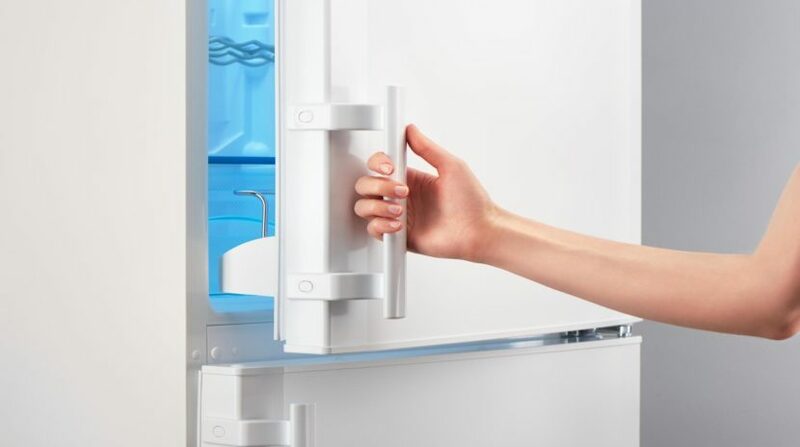 If you have the refrigerator malfunctioning, this is capable of causing a significant amount of complications. A misaligned refrigerator door is something that a lot of people come across as time passes and their refrigerator starts to get older. It’s just the way gravity works – your door has a certain weight which is inevitably going to loosen up the screws and get misaligned. This might seem like a serious issue for those who are unaware but it truly isn’t. As a matter of fact, there are a few things that you might want to take into account in order to handle it as needed. This is a very quick fix and it wouldn’t require any significant effort or specific technical knowledge. In fact, it shouldn’t take you more than a few minutes to do it on your own but if you don’t think you can manage it on your own, call an appliance repair professional. The hinge bolts might be way too tight for you to adjust the door freely. In order to do so, locate them and loosen them up. This will make the door loose and allow you to adjust it. When you can move the door, you should use your hand to move it up, in order to adjust it correctly. This is the next step. Once you adjust the door, hold it as it is while you are using your free hand to tighten the bolts once again. This should fix the positioning of the door for good. When you are done, open the door as wide as its possible and close it back a few times. This is going to ensure that the issue doesn’t appear again in the near future. Now, even though that’s a very obviously easy fix, you shouldn’t underestimate its importance. The truth is that a misaligned and sagging door is not only aesthetically displeasing – it’s dangerous for your food. It might let air inside the refrigerator compartment, hence causing all of your stored goods to go bad. This could potentially cause certain foods to go bad, which is something that you should most definitely avoid. With all this in mind, you would only need a circular wrench of the right size. No other tools are required for this quick fix and it should take you more than a few minutes. On the other hand, it’s going to spare you quite a lot of issues. 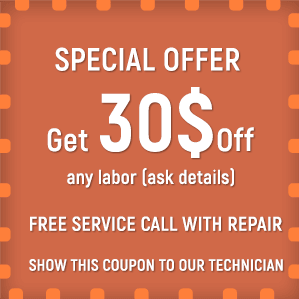 However, if you are busy or have no time to do it, call in the appliance repair service. They have skilled technicians that would complete the job quickly. You can look online and browse through the local listings. Make sure you work with a company that is experienced and has positive feedback from past clients. How Should I Deal With Common Dishwasher Issues?